According to the Washington Post, it would only provide $1.3 Billion, which equates to about 55 miles of new border fencing along the 2,000-mile border. In addition, the lawmakers tied the hands of the President, and included stipulations that make the money very unusable, as it only allows him to use specific materials, build in specific locations, as well as, other restrictions! Currently, ICE has around 46,000 people in detention, with almost 21,000 who have committed crimes in the United States! Under all of the Democrat proposals, thousands would have to be released into the American interior of the nation, as ICE says it would force them to re-implement ‘catch and release’ policies! Immigration agents are already releasing between 300 to 500 per day due to their inability to detain the massive numbers of illegals! It has now become obvious that the Democrats will not act to protect the United States, and will do anything they can do, to prevent President Trump from doing his job! Therefore, although the President has given Congress every opportunity to do their job, he will now likely be forced to find the funds and either declare a National Emergency or invoke 10 United States Code § 284! In fact, Defense Department officials from the Pentagon testified to Congress, that President Trump does not need approval from Congress, nor does he have to declare a national emergency to continue the construction of the border wall. In fact, 10 United States Code § 284, authorizes the U.S. military to legally build barriers at the southern border. In the meantime, as Democrats claim that there is no crisis in the United States, they ignore the facts, and for their own political ends! 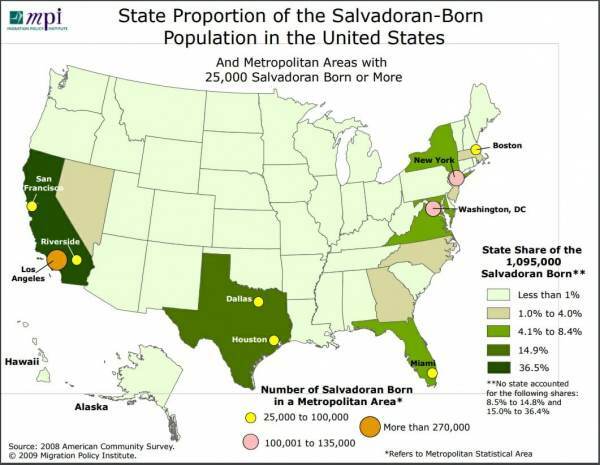 In fact, just this past week Gallup revealed that 1/5 of El Salvadorian residents, which constitutes 19.1% of their population or 1.1 million out of 5.7 million already reside within the United States, some legally, but many illegally! Most of the El Salvadorian residents live within California, Texas came in second, and Florida, Virginia, and New York came in third. Ultimately, it is unconscionable that Congressional Democrats are doing everything in their power to hinder the President from doing his job to secure the American border and protect the American people! However, regardless of what the Democrats in Washington do to impede President Trump, he will personally continue to do everything in his power to protect our nation, and the American people, as he fights to not only Make America Great Again, but to Make America Safe Again as well! Congress Proposes Border DealCongressional Border DealGovernment Shutdown 2.0? Next Next post: GREEN IS THE NEW RED: Democrats Unveil Socialist And Marxist Agenda In Green New Deal, As Dems Embrace The Collective Idealism!